The question of enhancing diversity in big data and computational social science is fundamentally important. I think the importance of diversity in computational areas is often ignored and, as scholars, this is at our peril. First of all, we often have biases in how we interpret data. Specifically, bias due to particular subject positions (e.g. a researcher’s position coming from a dominant group). This often marginalizes minority voices in big data projects or just ‘others’ them. Second, how data is analyzed, even if it is aggregated or difficult to discern identities, can be biased by subject positions. For example, we treat social media data as able to tell stories, but researchers often are not looking for diverse stories or diverse research questions. So, diverse stories need to actively be looked for. Third, we have a general lack of diversity in terms of the types of data sets we generally collect and APIs do not easily facilitate efforts to showcase underrepresented groups. In social media, data collected is often based around a particular hashtag or categories, which may not represent racial/ethnic or other diversity well. Again, racial/ethnic, gender, socioeconomic and other diversity needs to be actively worked on. Ultimately, it is important to understand that there is a lack of diversity in these areas and it is also critical for students and faculty from diverse areas to have literacy in big data and computational research methods. As recent government hearings in the US and Europe around data privacy have underscored, there are deep consequences to the types of data being circulated. Moreover, the decisions that algorithms make tend to be based on what privileged people (e.g. the software developers designing the algorithms) see the world as. This often is to the detriment of diverse views (which are often seen as threatening). After 11 years of 140-character tweets, Twitter decided to double this to 280 characters from November 2017. Before rolling the change out to the general public, Twitter began trialing this “feature” with a select group of users (Watson 2017), though initial testing suggested that only 5 per cent of the group opted to use over 140 characters in their tweets (Newton 2017). And critics (e.g., Silver 2017) argue that this will drown out Twitter timelines, compromising the platform’s uniquely succinct form of social communication. 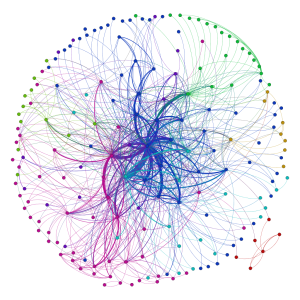 Our contemporary use of Twitter – in part a social, political, and economic information network – has evolved over more than a decade. So it may be some years before the impact of the 280-character expansion can be evaluated. Given that our behaviors on all social media platforms are interlinked, it may be that Twitter is answering a call for individuals to express themselves more fully, though in the context of these platforms more broadly, 280 characters is still relatively terse. Ultimately, if Twitter continues to be viewed as a platform for bursts of communication rather than in-depth, fully formed dialogue, it is likely that the increased character count will not have a substantive change to the platform. Only time will tell if the increased character count impacts significantly on people’s use of Twitter. Social media is heavily influenced by algorithms. For example, the Facebook feed algorithm, from what we know about it, is based on what you and your friends are liking, posting, and doing on the platform (and perhaps even ‘people like you’ that Facebook is data mining). Many social media algorithms are designed around homophily. And algorithms theoretically are value neutral. If someone consumes and produces criminal content, the algorithm will try to be helpful and guide the user to relevant criminal content. The algorithms are just following what they are programmed to do. algorithms can equally encourage content around positive civic responsibility, if a user has displayed a preference in that direction. To be critical about algorithms, we do have acknowledge the advantages and disadvantages of algorithm proliferation. For example, some algorithms are designed for safeguarding and this can be a real positive. There might be algorithmically-based filters for Internet searching or video delivery specific to kids for example. If a child has a profile on Netflix which is specifically set to Netflix’s child setting, then by the algorithm’s definition, they are not supposed to receive content that is age inappropriate. This tends to work in practice. Though, if content is inappropriately categorized, the algorithm would of course just follow its rule-based rubric instructions and would guide kids to inappropriate content as well. So humans are very much part of this process and if errors occur, then not having humans in the loop can partially be attributable to some of the issues of whether algorithms break down in these instances. Ultimately, the algorithms driving social media are what are called ‘black box algorithms’. These can be defined as algorithms that are generally proprietary, and which are open-source. The algorithm is meant to be private in terms of its design and operation and documentation is not made publicly available, nor is data made available in terms of the decisions made by the algorithm. In this way, black box algorithms are also similar in that we can only infer particular aspects of the algorithm based on observing the algorithm’s behavior ‘in the wild’. At cafes, bus stops, and other public places, I hear people lament about what they think is a rude behavior and that there are no manners in an age of social media. Etiquette has been enormously important to societies historically and not always for the right reasons (like marginalizing individuals or groups of people – especially ethnic and racial minorities). The sociologist Norbert Elias spent much of his book The civilizing process investigating etiquette and argued that the development of etiquette is part of a historical ‘process’. Using the ‘right’ fork was not a random thing. So too are practices of etiquette on social media. Etiquette is a reflection of social norms, class, and other demographic factors. As such, it can divide people or create hierarchies. Some social processes were more elite in the past (like diary writing or eating in a restaurant). As social activities become more democratic, practices of etiquette can do so as well. Think of it this way: if someone drops food on the floor during a meal at home and then picks it up and eats it, only those there know about it; but if such behaviors are in tweets, Instagram photos, etc., the action has a much wider audience. For some, the five-second rule applies and for others, such behavior is repugnant. Again, these responses have a lot to do with our social, cultural, and economic background. Thinking about etiquette can be relevant to understandings of social media production and consumption. Ultimately, etiquette is socially constructed and what is considered normal and acceptable varies based on a variety of socioeconomic and cultural factors. And these normative constructions can shape social media habits – from deciding whether using social media apps during a date is acceptable to what types of positive and negative things we say about friends, family, and colleagues. Even whether we post a video of our kid comically falling down can partly be influenced by questions of etiquette. In addition, the acceptability of creeping or fake ‘catfish’ Facebook profiles also partly depends on social media etiquette. Certain perceived notions of what one is ‘expected’ to do in a situation or what is civilized – the latter drawing from eating etiquette for example – are important to reflect on. Though, like in history, etiquette is a contested space and has politics of inclusion and exclusion. 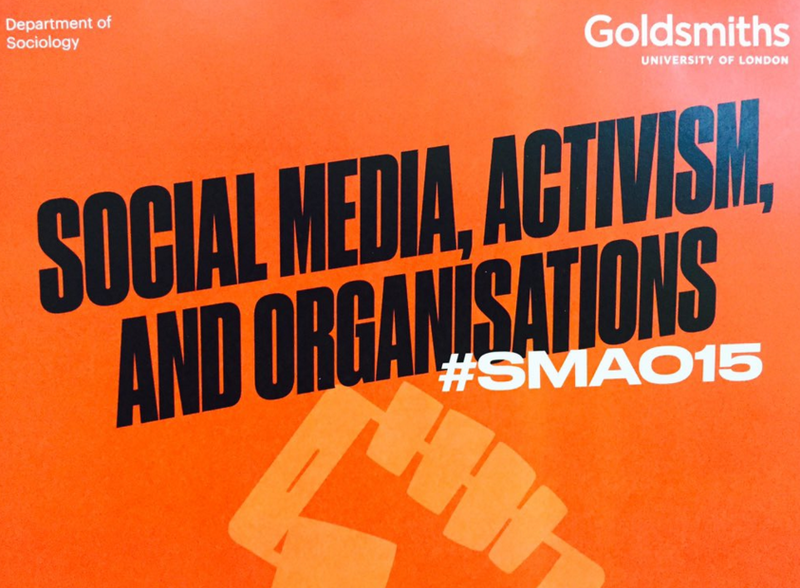 Social media, Activism, and Organizations 2015 (#SMAO15) brought together a large, international audience from a variety of disciplines. As founding chair, I was thrilled to receive such a strong set of submissions, which made for an exciting day of talks. #SMAO15 was fortunate to have plenary talks by Jen Schradie, Paul Levy, Alison Powell, Natalie Fenton, and David Karpf. Our keynote talk was by Jennifer Earl. It was a pleasure to also host the launch of Veronica Barassi’s book, Activism on the Web. Over 1000 tweets were posted during the event and you can virtually (re)attend via the #smao15 Twitter archive or network visualization/analytics. As you can see from the network graph above, #smao15 tweets exhibit a focused density. Are Young People Really ‘Addicted’ to Social Media? The question of whether social media are addictive is becoming asked more and more. These discourses are generally framed by observations that people seem to ‘always’ be on social media. The addiction card is particularly used in reference to young people. Though the negotiation by young people of social and mobile media spaces presents many challenges, addiction to social media is like most addictions an exception rather than a rule. On the one hand, there are parents who worry and want to exert more control or protection of their kids’ use of mediated communication. However, paternalism and protectionism pose real negative effects for teens as these behaviors can inhibit their engagement with the world (boyd, 2014) − not only with co-located peers, but people, groups and ideas near or far to them. That being said, coming of age in a world of smartphones and social media does present many challenges. We need to be careful with employing the language of addiction. Specifically, has the person built up ‘tolerance’ to social media wherein they require increasing exposure to it and have social media become the most important aspects of a person’s life (what psychologists call salience’) (Griffiths, 2000)? Are their physical ’withdrawal’ symptoms? Clearly, very few young people fall into social media addiction and I find that invocations of addiction often obscure the social media debate. For most young people, social media provide new ways of information seeking, new forms of sociability and generally augment their social lives (DeAndrea, Ellison, LaRose, Steinfield, & Fiore, 2012). There are specific ‘uses and gratifications’ (Rubin, 2002) that social media afford well and moral panics around social media addiction reduce the complexity of social media use to statistics of smartphone ownership or hours of screen time. Remember, young people have often been early adopters or ‘obsessive’ about technology − from the advent of the telephone to the Walkman. That hardly makes them addicted. It just makes them young people who are drawn to technologies they perceive as cool. And parents then complained about overuse of these technologies and some previously Walkman-toting parents may not have fallen far from the tree. Indeed, they may be walking down the street listening to music and emailing colleagues at work. But, that’s just extreme productivity, right? Young people seem to be painted with a different brush in moral panic portraits. And these artists might want to be more reflexive when it comes to their own technology use. boyd, Danah. (2014). It’s complicated: The social lives of networked teens: Yale University Press. DeAndrea, David C, Ellison, Nicole B, LaRose, Robert, Steinfield, Charles, & Fiore, Andrew. (2012). Serious social media: On the use of social media for improving students’ adjustment to college. The Internet and Higher Education, 15(1), 15-23. Griffiths, Mark. (2000). Does Internet and computer” addiction” exist? Some case study evidence. CyberPsychology and Behavior, 3(2), 211-218. Rubin, Alan M. (2002). The uses-and-gratifications perspective of media effects. Social media is all about user generated content (UGC). We often forget that social media companies are multibillion-dollar industries that are ultimately dependent on the content we – every day people -create. Their cyberinfrastructure is not enough by itself to hold inherent value for a social media platform. Rather, the value is maintained and grown via larger and larger amounts of user generated content. Indeed, what is often overlooked is that it is not just the increased volume of content, but it is also that we are increasingly tagging and associating this content, which makes for a certain level of stickiness (Jenkins et al.) within social media platforms. Social media platforms themselves are built to elicit content. For example, emails from Facebook saying so-and-so like this or posted this seduce/tantalize us to produce and consume content on Facebook. But, from the vantage point of social media companies and potentially us, sharing should be seamless – indeed it should almost feel ‘natural’. The notion of frictionless sharing is based on a difficult ontology that places primacy on the ‘shared self” rather than a private self. The shared self sees a social value in sharing. Some see the social function of sharing as akin to forms of social grooming when we share with others, but we also want social feedback in return. However, a perceived issue with social media is that not all of your photos, post, etc. will receive a response so the perception is that the more content one produces and shares, the more one is likely to get a social response (e.g. a like, comment, etc.). How do these affect notions of the public and private? Do these technologies make us more pro-social or do they inhibit sharing? A brief review of: Hampton, K.N., Rainie, L., Lu, W., Shin, I., & Purcell, K. (2014). “Social Media and the Cost of Caring.” Pew Research Center, Washington, DC. Hampton et al.’s (2014) Pew-sponsored survey explores the question of social media and stress levels and concludes that users of social media may experience elevated levels of stress as they become more aware of the stresses in other people’s lives – what they term ‘the cost of caring’. Their findings are consistent with academic social media literature. In my book, for example, I argue that social media, for some, functions as a social awareness system. We are kept aware of everything from the banal to the profound in terms of people we are close with as well as distant relations. There is reciprocity in this too as we share and update others of our life’s happenings. This awareness and sharing can have positive impacts on our psychosocial lives. Specifically, if we – in our very busy and increasingly individualized lives – become more social via social media, this could reduce our stress levels as sharing and more communal behaviors have historically been tied to better mental health. Moreover, social media may make some feel more connected (which has been found particularly true in rural settings for example). The sociologist Emile Durkheim found loneliness and social isolation to be major contributors to suicide rates. If social media is found by users to help their sociability, this could have real benefits to their social lives. However, if social media makes people feel more isolated or affects their self confidence, this could have negative effects. But, we have to remember there were similar debates with the telephone for example. I agree with Hampton et al. that there is a common perception that social media users are gadget addicted stressed out people. There are of course individuals in this camp but they generally represent the exception rather than the rule. Rather, many laugh as they see pictures of new babies in the family on social media. Others share about what they are eating or what movie they just watched. Again, rather than stress inducing these forms of social communication can be stress reducing for some. The cost of caring argument is interesting and it is understandable that as people become aware of, for example, deaths of more distant school friends that they would not have known about without social media, they may experience additional stress due to social media use. My work on cancer patients for example has found that social media use can be very positive in connecting cancer patients. Increased social awareness can of course be double edged too. After the horrific attacks on Charlie Hebdo in which 12 people were killed, many have turned to social media to express their feelings, show solidarity with the attack’s victims, or to produce/consume information regarding the attack. The emergence of #JeSuisCharlie on social media and the chanting of it at rallies around the world indicates how central social media has been as a public outlet during this crisis. Indeed, #JeSuisCharlie speaks to the larger point that crisis hashtags are built around a notion of ‘event society’ where social media activity can become part of a public sphere that rallies around events such as crises. However, though we consume and produce social media content in times of crisis, we often do not step back to reflect on our motivations for doing so nor do we question whether social media spaces bring us together or polarize us. Individuals use social media in times of crisis for several reasons. In my work on Twitter use during Hurricane Sandy, I found that some users turn to social media as a form of ‘self therapy’, an outlet to communicate their anxieties or stresses during a crisis and to receive direct or indirect support. Individuals also turn to social media to produce and consume memes and other humorous content; this can also be a form of self therapy. 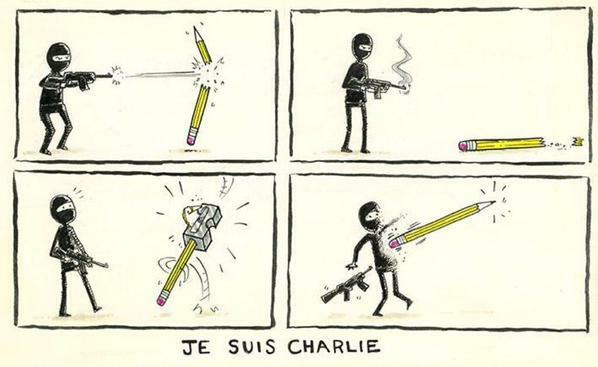 Though one would not expect humor to be present in #JeSuisCharlie, it is. In homage to the cartoonists who were killed in the attack, some of the images within the hashtag use humor to both cope as well as attack the motives and means of the terrorists. For example, there are numerous cartoons that have been retweeted, which show masked terrorists being attacked by showers of pencils and pens or a gunman shooting a fountain pen and ink spilling out. Some of the most retweeted images include a pencil shoved into a machine gun and a pencil being attacked and then attacking a gunman after being sharpened. Social media – especially Twitter – is used by many as source of information. Important news stories are retweeted and friends and followers engage in social bookmarking or other means to suggest important sources of information. Social media is well known for being timely in terms of information dissemination during crises. This has also been the case with Charlie Hebdo. Citizen journalists use social media to report on what is happening on the ground. Often citizen journalists can be closer to the epicenter of a crisis. For example, eyewitness accounts outside Charlie Hebdo’s offices were being tweeted as the events unfolded and the opinions of Parisians were being retweeted right away. Though, like in any crisis, because much of this information is produced by non-professional journalists, social media has and continues to be plagued by issues of information integrity. In the case of Charlie Hebdo, factually inaccurate accounts in terms of the number of dead or number of gunmen were widely circulating on social media. Social media is also used to check how friends and family are faring during the crises and many platforms including Facebook and Twitter afford us the ability to keep tabs on large circles of friends, family members, and colleagues during crises. In the case of Charlie Hebdo, social media was being used to both collectively express solidarity as well as for Parisians to talk to each other as small and large groups about what happened and how they were feeling. In following #JeSuisCharlie, it remains clear that we have to remember that trending topics by definition trend because they are popular. As such, they are also attractive targets for anyone who wants a soapbox. Because of the usually open nature of social media, hijacking is possible (whether through bots or masses of supporters). Companies have also tried to sell products via popular hashtags during times of crises – usually in poor taste. Extremists have also had success in inserting themselves into trending topics. Pro-ISIS supporters, for example, have made social media a central aspect of their recruitment and propaganda machine. In the case of #JeSuisCharlie, supporters of the gunmen also emerged. In my book, I argue that the openness of social media makes it able to be used by any side (including extremists, spammers and trolls). In this sense social media like all communication media is value neutral. This can have real consequences on civil society as people increasingly turn to social media as a community space to interact publicly. This can lead to a certain divisiveness on social media. What often happens in social media and more broadly online are processes of polarization that can often privilege certain positions. Additionally, certain individuals and groups have more social media savvy/knowledge and are able to better leverage the platforms to get their points across. This can result in floods of retweets or mentions where polarized sides and up preaching to the choir and not talking to each other. This is not exclusive to crisis communication, but is a broader trend on Twitter and other social media. Sadly, this polarization does not advance collective dialogues during times of crisis. 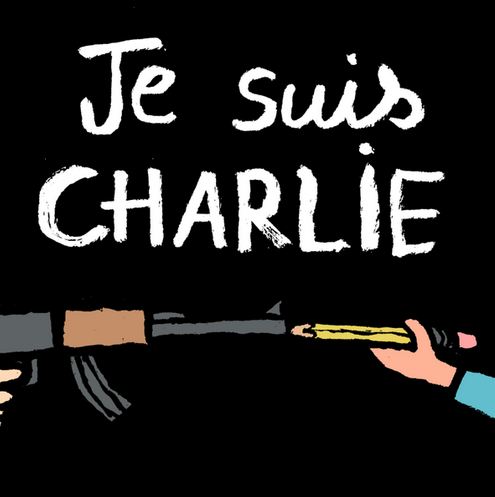 Ultimately, we may be tempted to view #JeSuisCharlie as a peripheral part of the Charlie Hebdo crisis. However, social media plays an important role in shaping public perceptions of crises. This is particularly true when celebrities, politicians, and social media ‘influencers’ direct or spark conversations, chatter, or the circulation of information. Often just a handful of tweets are what are most read and responded to during crises. For example in the recent shooting at Florida State University in the US, a tweet about a shooting victim whose life was saved by a bullet hitting a stack of library books in his backpack generated the most discussion on Twitter and was highly influential in shaping social media discussions. 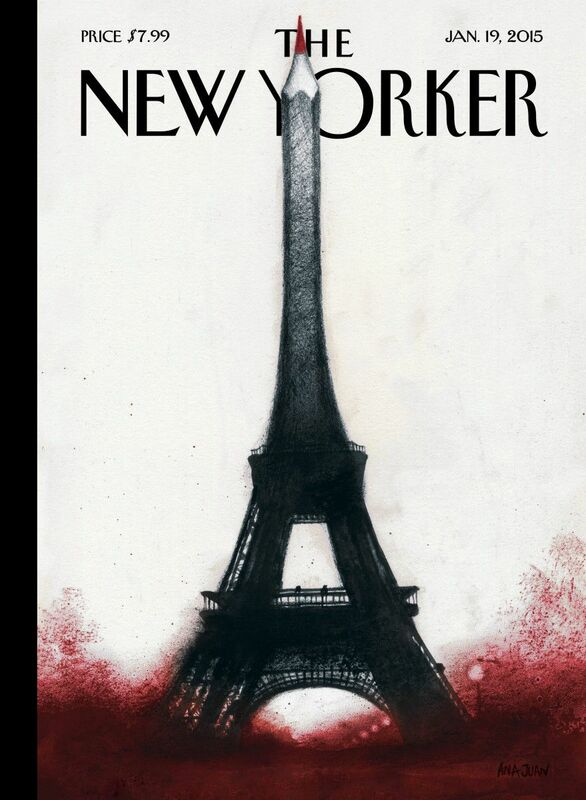 In the case of Charle Hebdo, the same is true with next week’s cover of the New Yorker the most retweeted and commented on image and tweets by CNN’s Jake Tapper and Stephen Fry the most retweeted and commented on. Even though social media contains a deluge of content during crises, certain themes can and do shape public opinion during crises. The study of social media has great promise, but we always need to understand its limitations. This sounds rather basic, but it is often not reflexively thought about. Though social media is not as shiny as it was several years ago, the zeitgeist still persists and it often clouds our ability to frame what it is exactly that we are doing with all the social data we have access to. Specifically, if we use Twitter data, it is not enough to just leave research at the level of frequency counts (top hashtags, top retweets, most engaged with comments, etc.). David De Roure  warns that this type analysis of social media misses the social aspects of web technologies. Ultimately, social media spaces are sociotechnical systems and the social that is (re)produced – like face-to-face communication – is highly nuanced. I think that it is fundamentally important for researchers of social media data across the disciplines to think critically beyond the literal results of brute force machine learning. Rather, this is an opportunity for us to ask large and important social questions. My point is epistemological in that I think it is important for our results to contribute to our understanding of these social questions. This is not to say that quantitative methods such as natural language processing, n-grams (and other co-occurrence methods), and various descriptive statistics are not important to the study of social media. But, rather, they are often the starting or mid point of a research project. 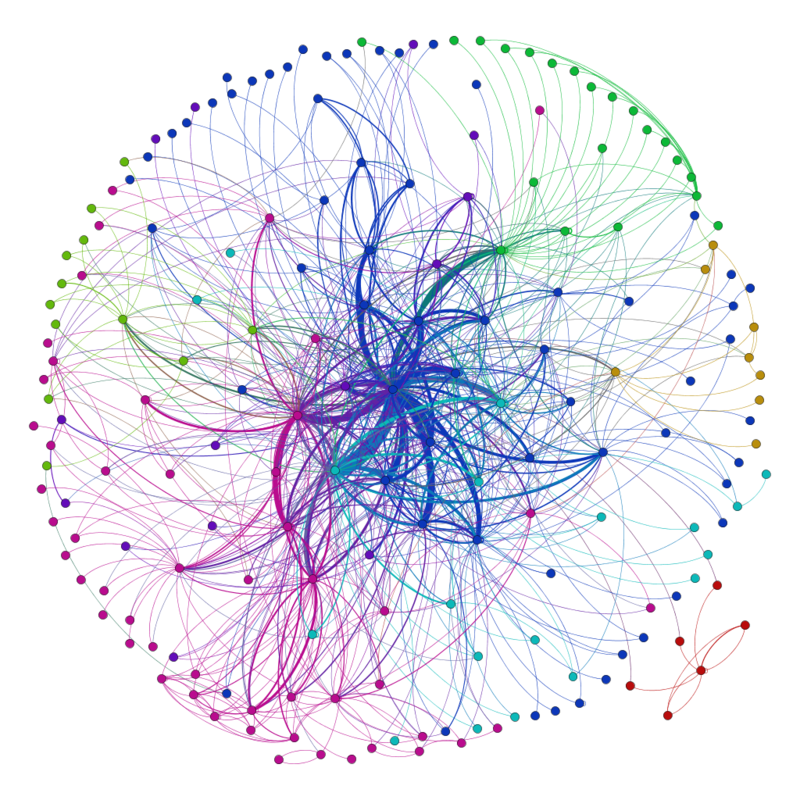 In my work, Big Data analytical models provide a great way to get a birds-eye view of social media data. However, they cannot answer social questions as such. However, these methods are valuable to, for example, grounded theory approaches, which can help produce valuable research questions or social insights. Additionally, the mixing of methods this encourages is exciting as it provides opportunities for us to innovate new research methods rather than trying to fit traditional research methods (though doing this is valuable of course too). Ramesh Jain in his talk at the NUS Web Science & Big Data Analytics workshop puts this as data being everywhere and that we have access to billions of data streams.